I don’t wear navy all that often, but I’m really inspired by this classic color at the moment! 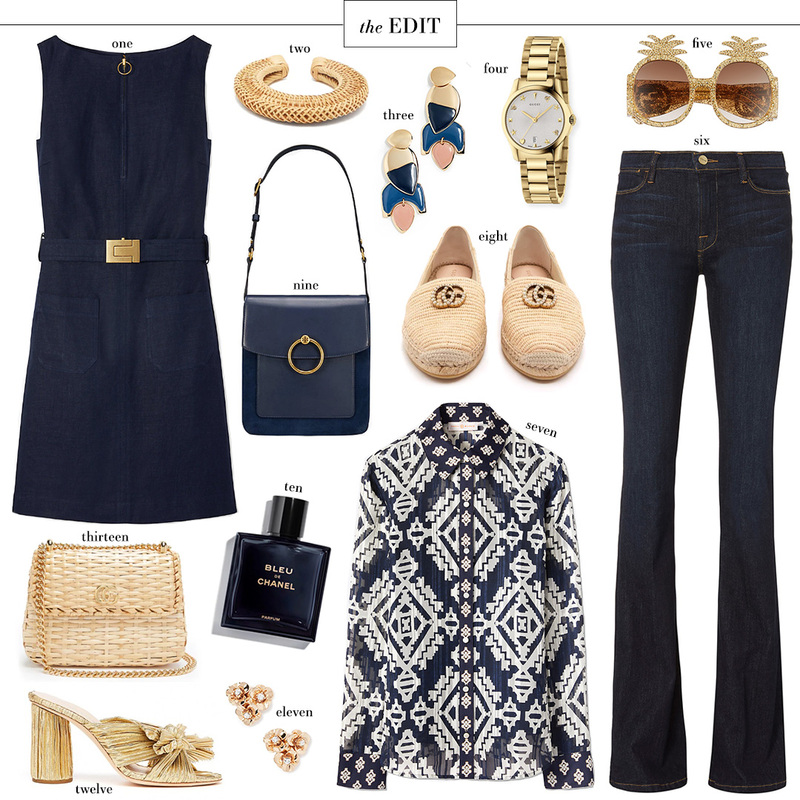 While it’s certainly a year-round neutral, it feels extra special and nautical in the summer. Tory Burch has some amazing navy pieces right now (some of which are in this collage), so I thought I’d round up a few of my faves! Loving the embroidered sleeves on this simple white top! Lightweight and easy for everyday summer wear. Peek-a-boo lace on this navy blouse make ideal for pairing with jeans for a night out! A great style you can absolutely wear into fall. In need of a good pair of pants for the office? This style looks flattering and comfortable. This smocked number is the perfect thing to throw on over your suit on the 4th and Labor Day weekend! The iconic Tory Tunic is now available in stark white + navy trim… classic! If you love the tapestry print on the blouse in this collage, don’t miss this dolman-sleeve dress. So amazing and on sale! That print also comes in the form of this more casual peasant blouse. Whether you plan to wear it for work, travel or play, this fringe-trim jacket is a style staple guaranteed to become a repeat offender in your closet. My mom raves about Tory’s one-piece swimsuits! Don’t miss this new piece. I just ordered these in brown, but the navy is gorgeous too! I don’t wear navy all that much, either but I am loving the idea of pairing it with gold and straw accessories for a summer look! Great roundup, Merritt!